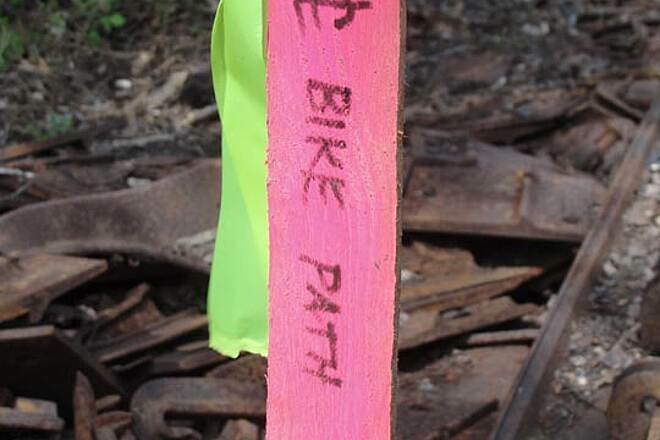 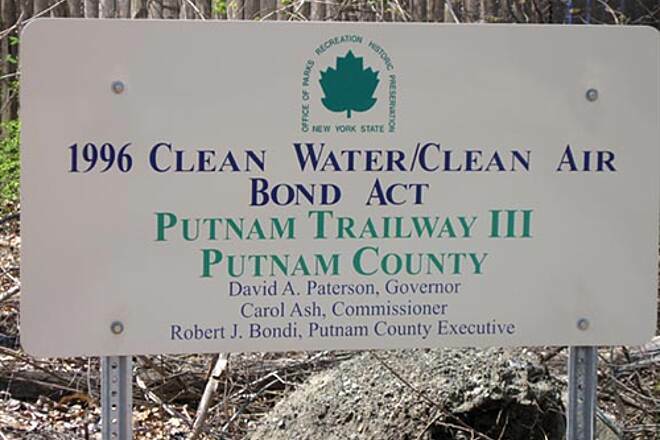 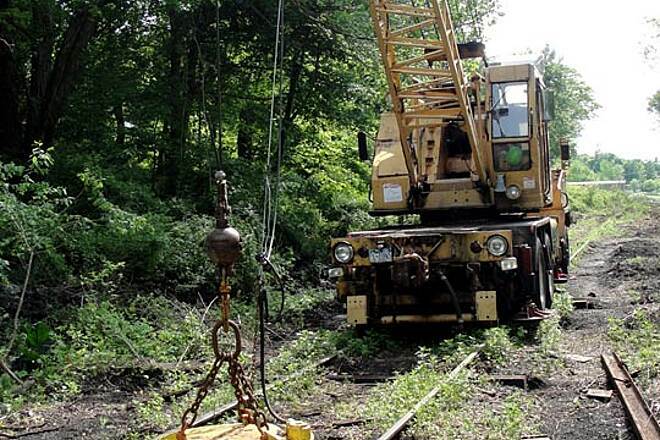 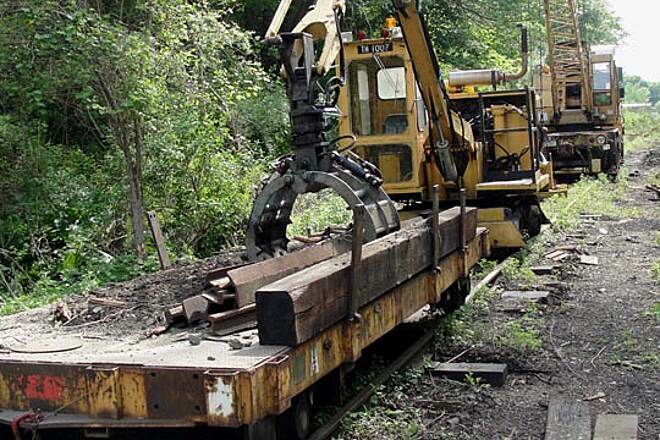 A surveyors marker on what will be another segment of the popular Putnam Trailway. 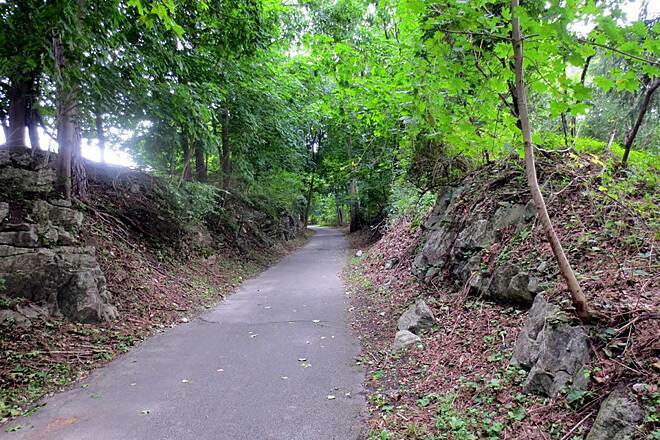 This segment will take the trail closer to the center of Brewster, NY. 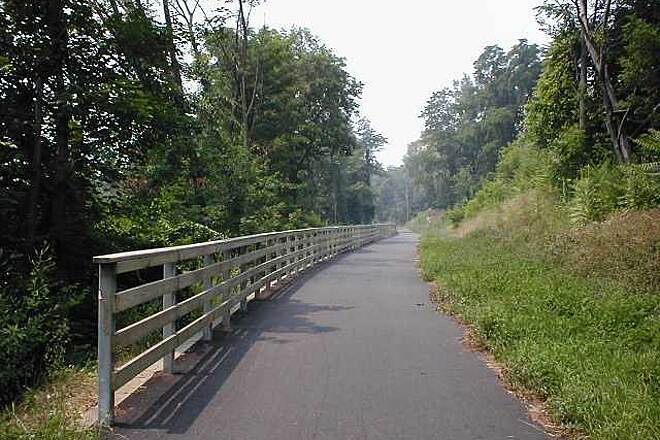 The trail surface is ideally suited for in-line skating and biking. 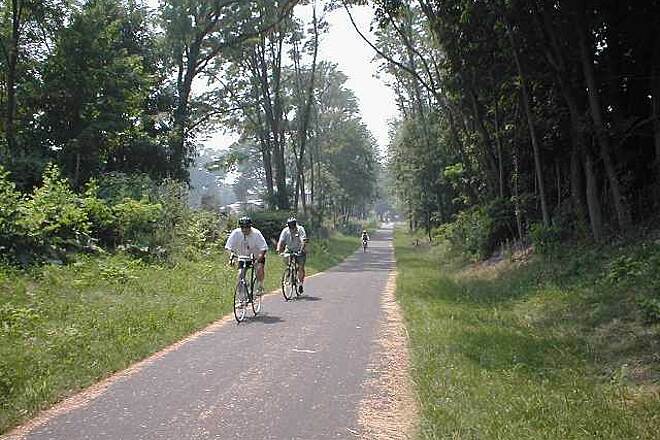 Trail surface and right-of-way between Route 6 in Mahopac and Drewville Road in Carmel. 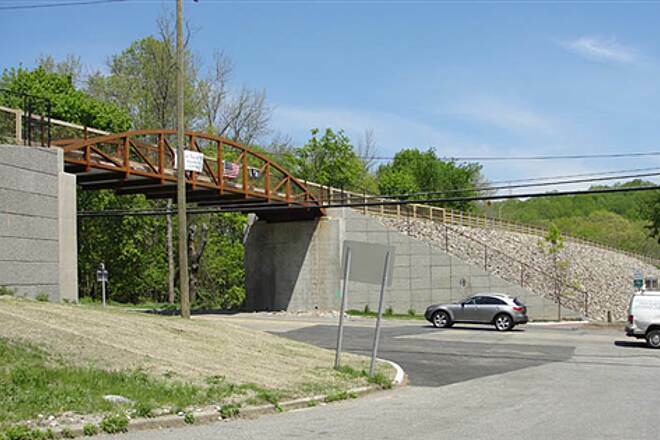 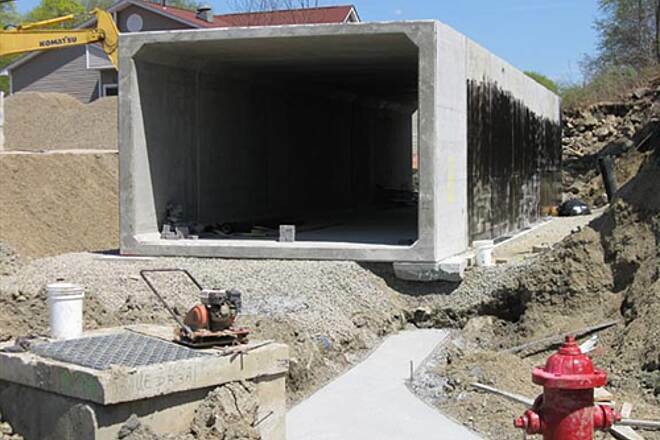 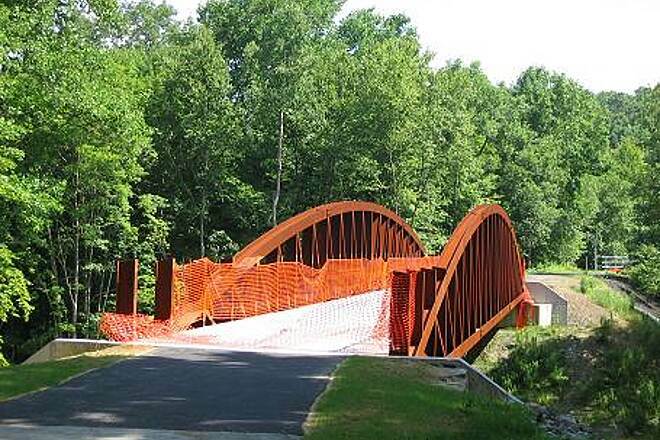 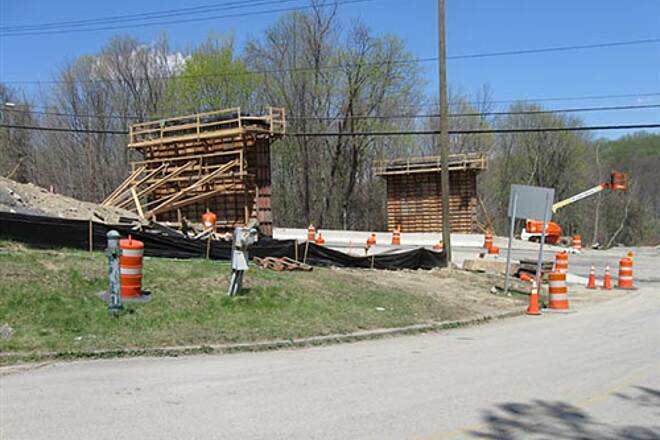 New trail bridge over Drewville Road in Carmel. 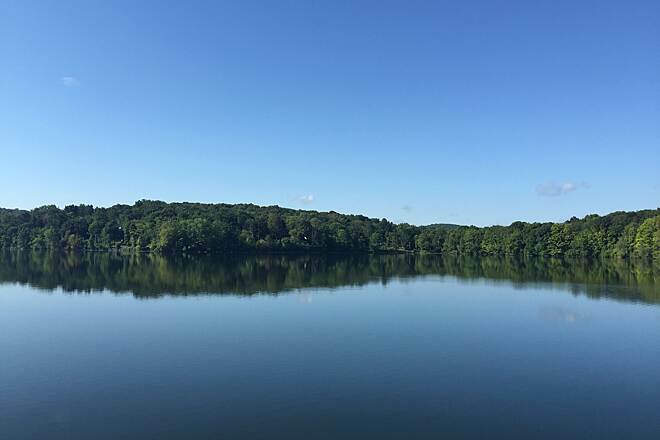 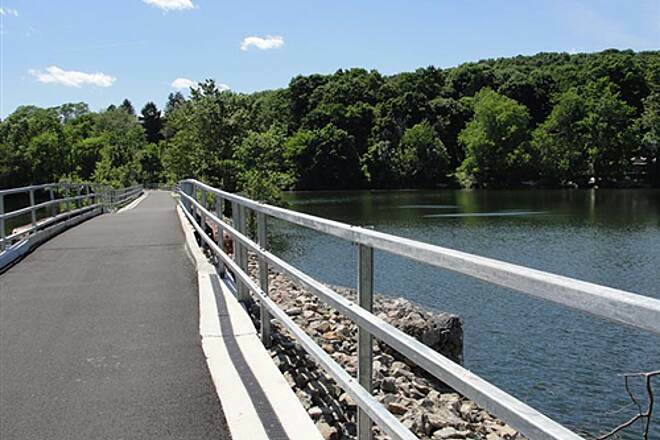 Baldwin Place trailhead looking north towards Mahopac. 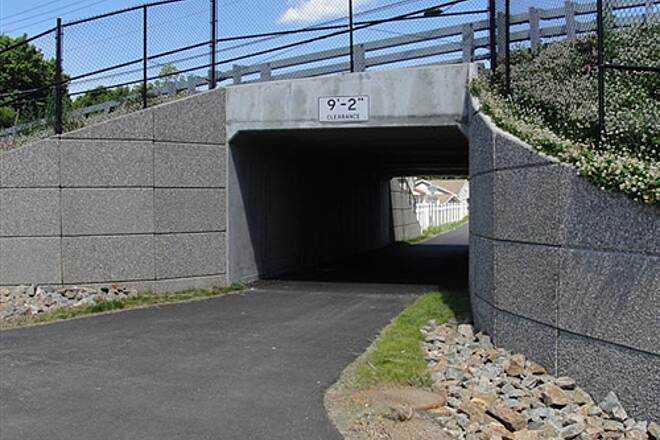 A traffic-free location for walking with strollers. 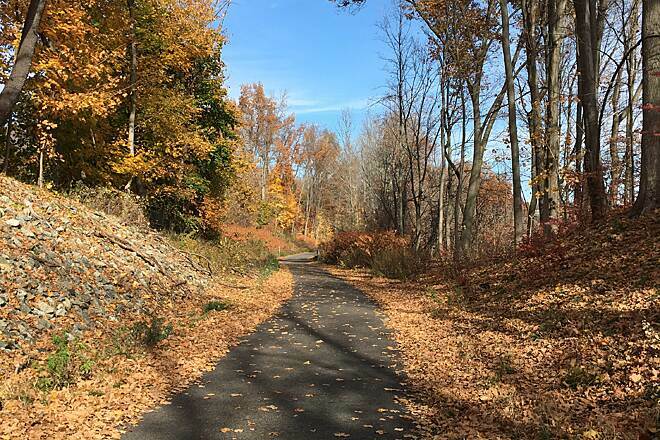 Trailhead at Bucks Hollow Road near Route 6 in Mahopac, NY. 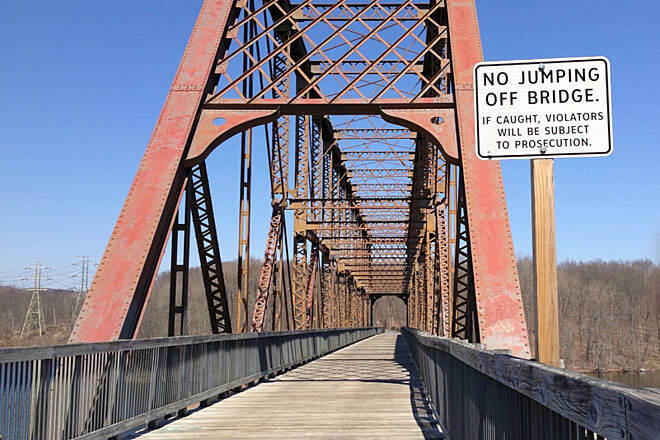 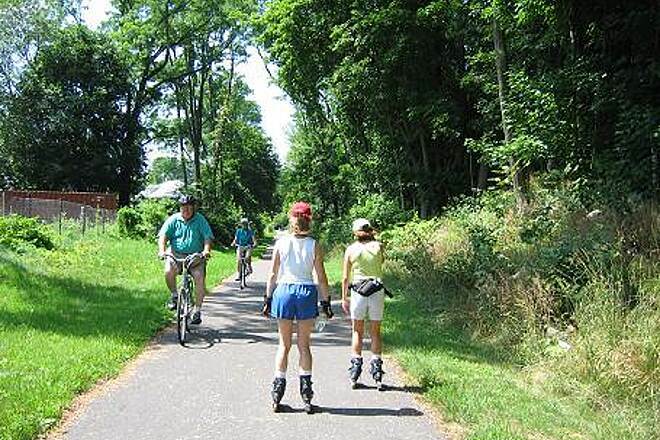 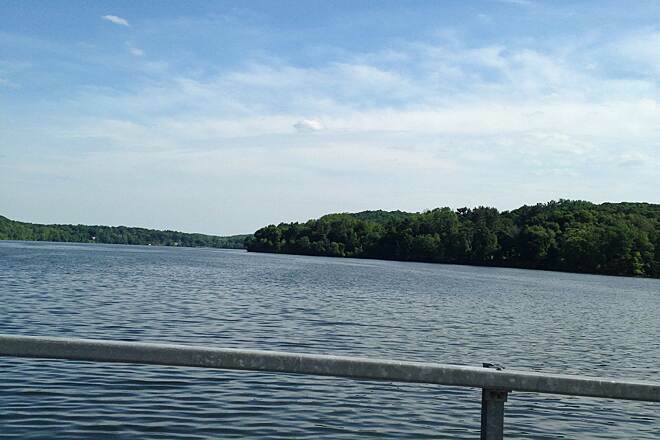 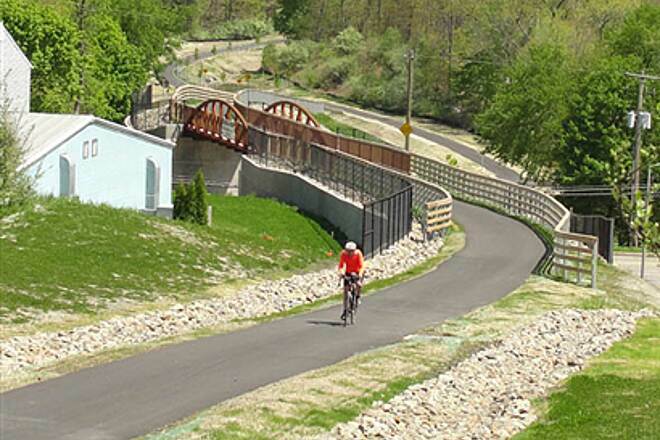 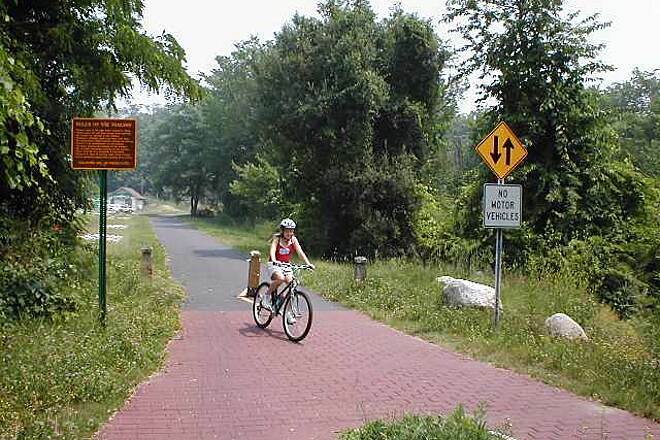 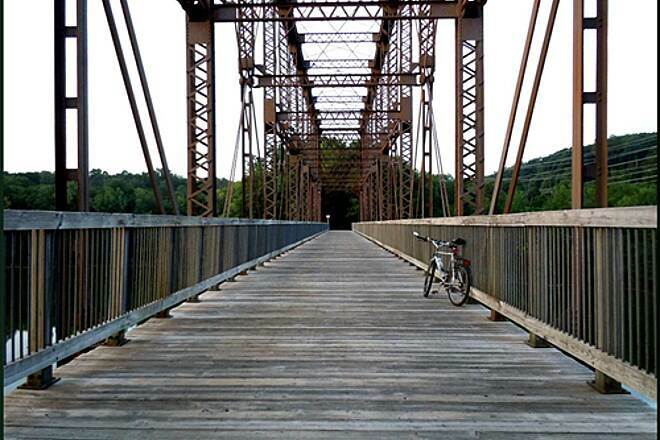 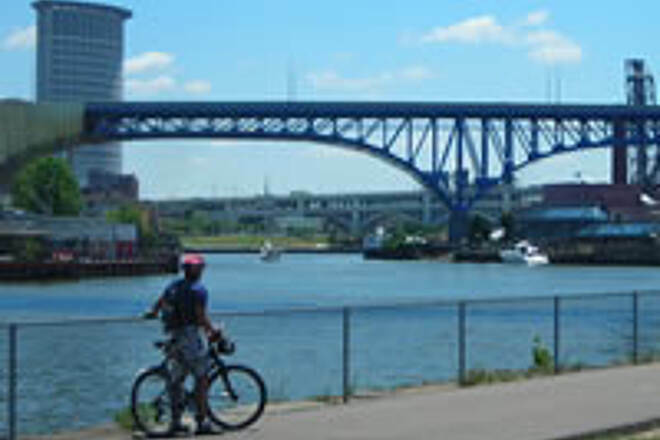 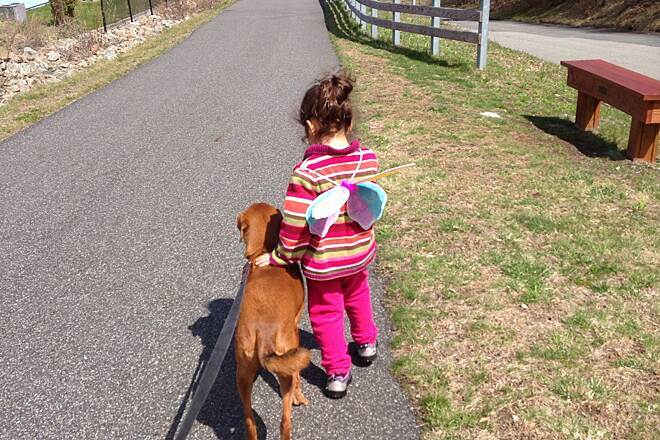 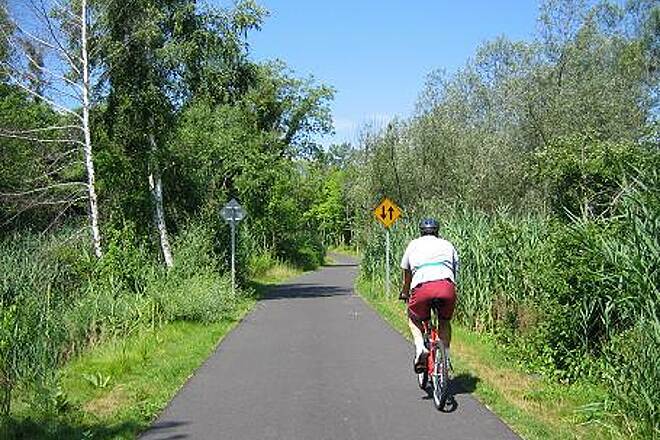 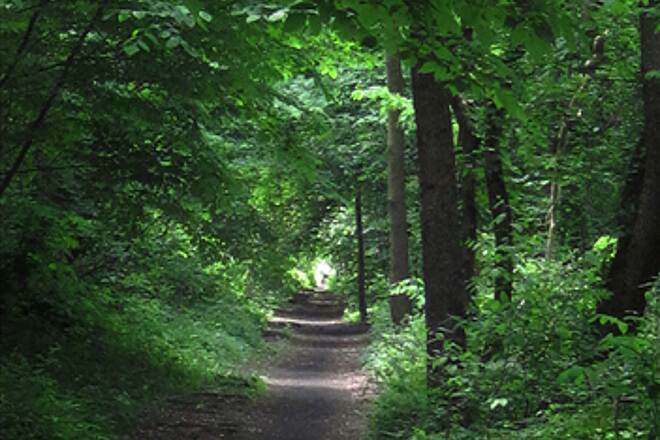 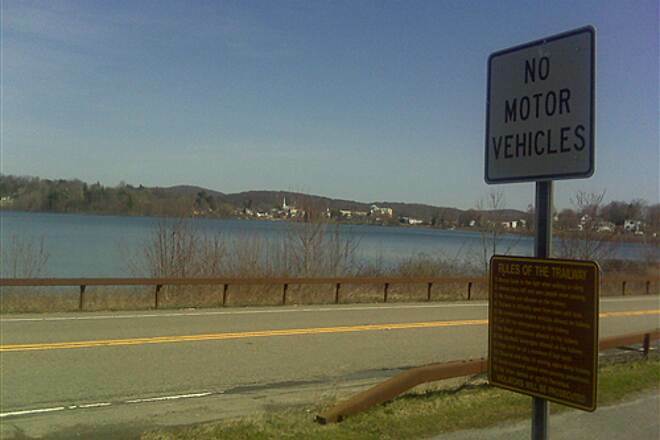 Bicyclists of all ages enjoy this trail. 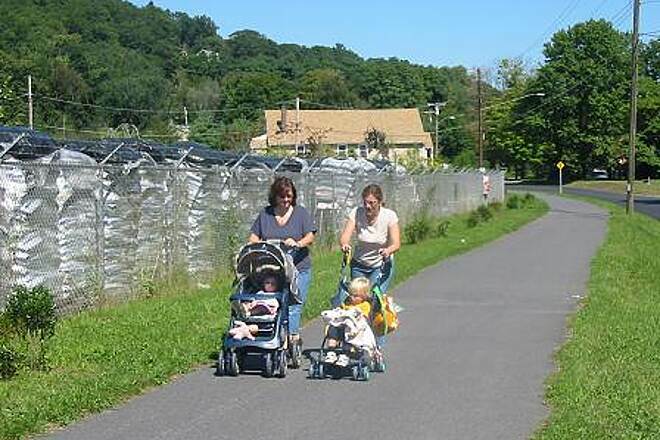 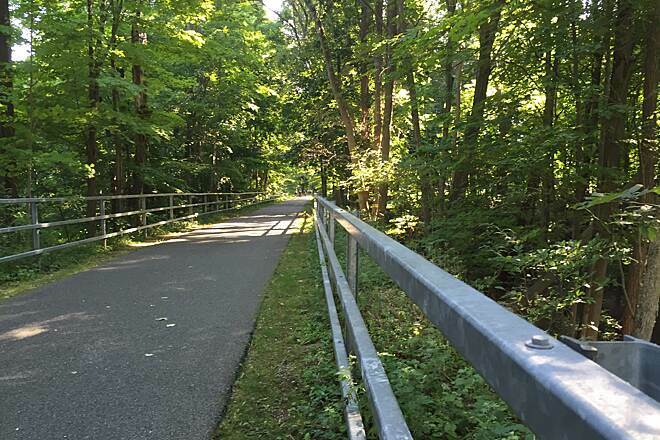 Protective fencing along the trail near Mahopac, NY. 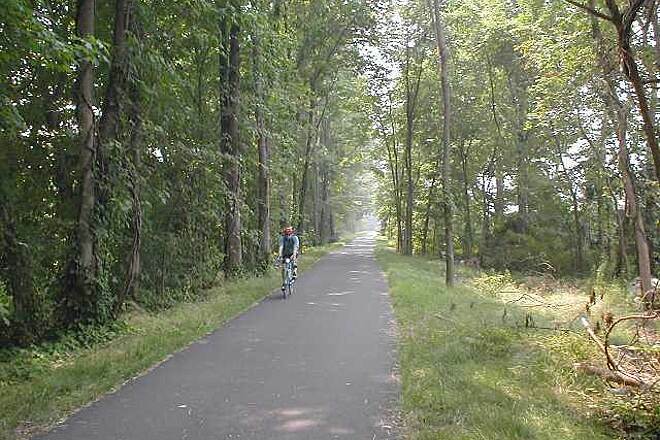 Biking along a shady stretch of trail. 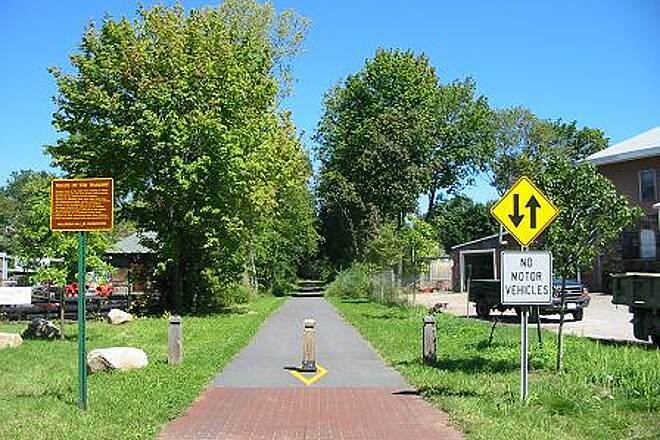 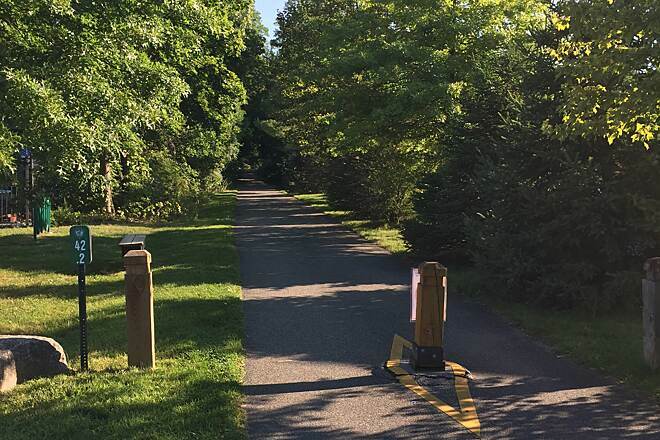 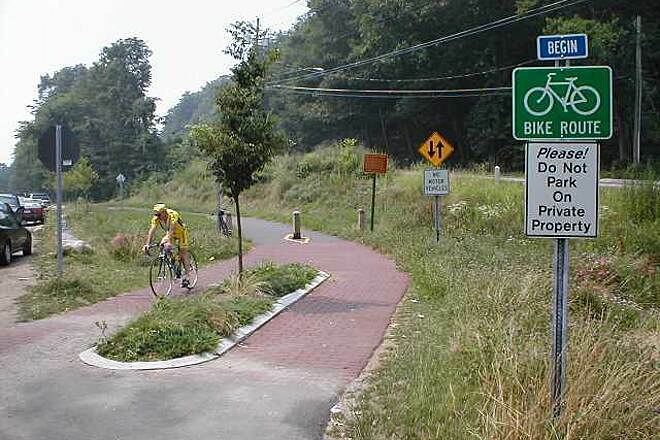 This trail is a very popular destination for bicylists.